Chocolate milk contains an optimal carbohydrate to protein ratio, which is critical for helping refuel tired muscles after strenuous exercise and can enable athletes to exercise at a high intensity during subsequent workouts. 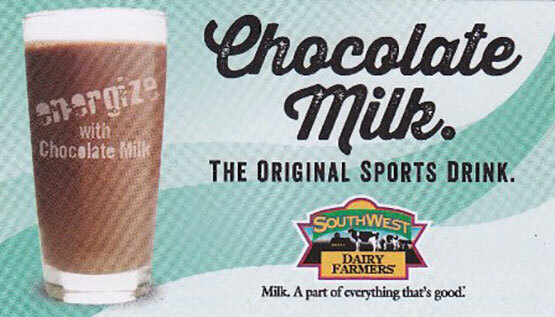 Chocolate milk's ideal combination of nine essential nutrients boost energy and help restore and rebuild muscles. And best of all, this nutrient dense recovery drink is all natural.